By Jonathan Clements. An illustration by Tsuyuki Kocho shows the famous artist Hokusai at work with his assistant, his daughter Oei (or Oi). 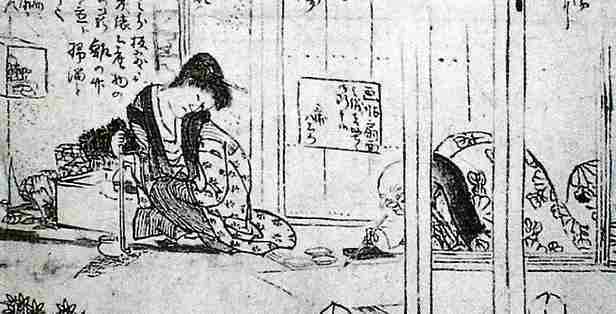 The picture is dated 1843, only a few years before Hokusai’s death, when he was increasingly reliant on his divorcee daughter to care for him. Hokusai himself is partly obscured, crouching over a painting as if straining to see it properly. Oei is depicted in equally unflattering terms, her eyes narrowed in the disdain that allegedly cost her her marriage (she had a habit of laughing at her husband’s artwork), leaning on a long tobacco pipe. Her chin is somewhat prominent, reflecting a nickname that played upon this feature. 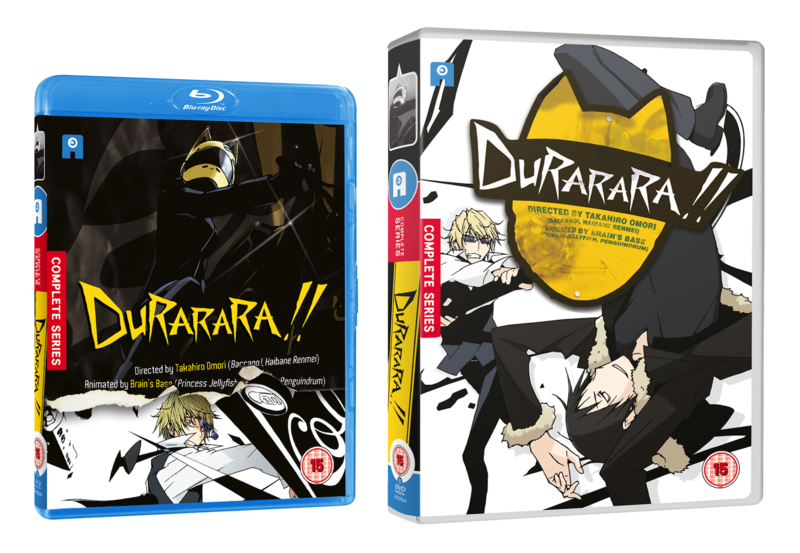 Unboxing + Release details about Durarara!!. Details on our re-authored Blu-ray discs and more. This post will be giving you a preview of what to expect with these newly authored discs along with our DVD release. Newswire #18 – 5th May 2015. Your weekly roundup and update of Anime Limited releated news. With more movement than the Shifting Sand Land in Mario 64, how's that for a reference, it's the latest edition of the Anime Limited Newswire. ~ First of all a big thanks to everyone who came to our panel at MCM Belfast Comic Con this past Saturday. It was great to see so many people and we had some great questions too! During the panel we were happy to confirm that Plastic Memories will be getting a Blu-ray and DVD release from us in 2016, details about our upcoming release of 009 Re:Cyborg and that Tokyo Ghoul is tentatively schedule for release on Blu-ray and DVD from us in October. You can read our Bonus Newswire posted on Saturday evening HERE. ~ We're hoping to be able to reveal our plans for MCM London Comic Con within the next week! So keep an eye for details on those as we can share them. Hokusai (1760-1849) is the best-known Japanese artist on the world stage and enjoys equal renown in his homeland. The appetite for his art appears to be insatiable — ‘Hokusai’ exhibitions invariably draw huge crowds. 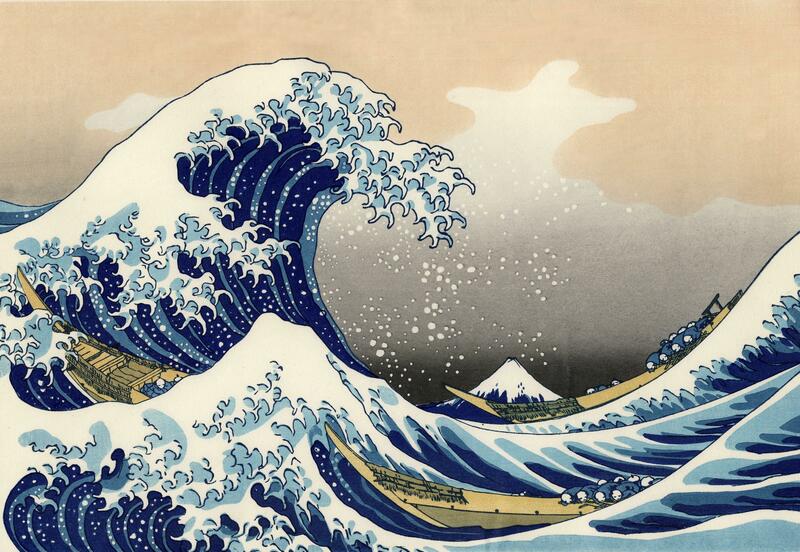 His print image ‘The Great Wave’ is firmly established as a global icon. The Hokusai manga (Hokusai's sketchbooks) are widely if erroneously cited as precursors of modern-day Japanese comics. His working life spanned 75 years. His output as painter, print designer and book illustrator was prodigious. His creativity and productivity remained undiminished through the closing decades of his long working life: his very greatest achievements were produced in the last 25 years of his career, following on from his 65 birthday. 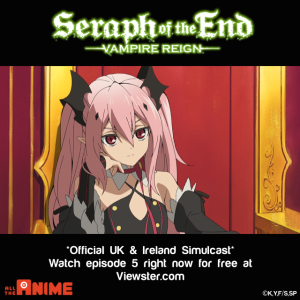 Episode 5 of Seraph Of The End, Plastic Memories and The Heroic Legend Of Arslan available now. 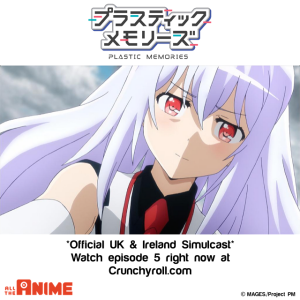 Official Simulcasts to UK/Ireland. 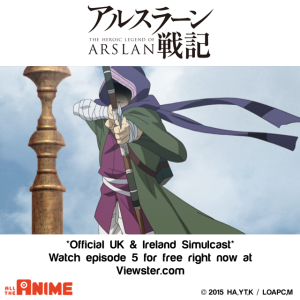 The latest episodes of our simulcasts are available to UK & Ireland. Click on the images below to watch them.